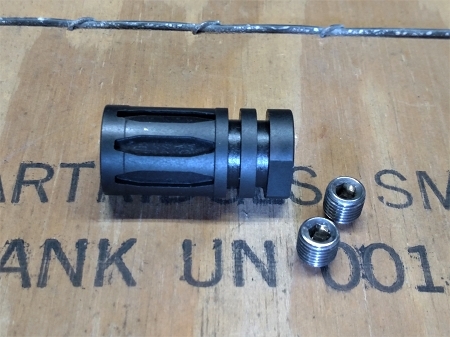 Our M16 family of blank adapters work well but they are only good in one size and they require a wrench to change. 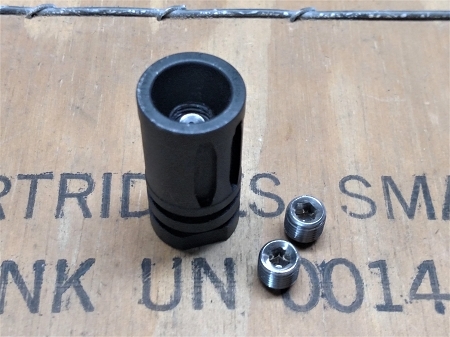 With this new blank adapter, you simply replace your A2 birdcage and use the included Allen wrench to change out set screws on the fly. No more tedious changes, and can be quickly changed out for any blank without being removed. Made from 304 Stainless steel to last hold up to the toughest beating.